Amplify Your Voice – Because taking action does make a difference! Thank you for wanting to take action! We want to make it as easy as possible for you to get your voice heard. Below is an assortment of projects, for the beginner or seasoned activist, to help you jump-start your amplification! If you have other proven ideas that you would like us to add, please let us know! We would love to share your success. Here are two program for feral cats that worked! 1. Sponsor a cat-themed contest in your school. It could be a poetry, photo, video, art, or essay contest. Post winners in the library and other local public places with additional materials about cats and their welfare. 2. Spread the Word: Contact the leaders of Boy or Girl Scouts, as well as other youth groups in your community with ideas they can use to help cats in their community. 3. Download materials for dealing with feral cats, wanted or unwanted. There are humane ways to deter cats as well as way to manage community cat colonies. 4. Launch a local media campaign about cats using public service announcements, local cat-friendly radio talk show hosts, community cable stations and letters to the editor of the paper. 5. Form a coalition of like-minded people to create humane guidelines for felines in your community. 6. Let the public know that you are looking for a “Cats Hero of the Year” and encourage them to alert you to people in the community who have helped cats. 7. Encourage your community leaders to keep track of cat calls; if there are many, determine your philosophy about dealing with the calls first, then offer to form a committee to help address the concerns /complaints about cats. There are guidelines for managing colonies available on this site. 8. Speak to your vet and as may other vets as you can – about the benefits of fixing felines by five months (see Beat The Heat for resources.) Reducing the numbers of surplus cats is the very best way to raise their status and ensure that all in need of homes have a chance to get a good, permanent home. 9. 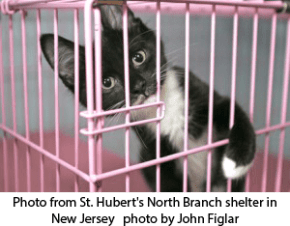 Visit your local shelter and see what they need for help – they may need foster care support or someone to take picture of the cats in the shelter to help them get adopted. 10. Buy the “Throwaways” DVD for $15. 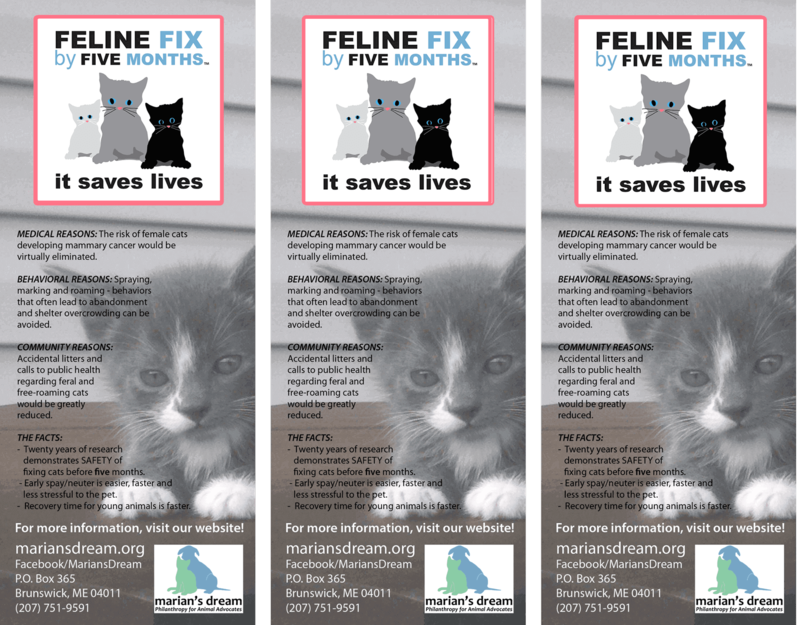 Ask the art teacher in your area to take one day for the students to create posters with cats and the clinic phone number to call for spaying/neutering cats in your area. Contact your statewide spay program to find affordable programs and clinics near you. Big Projects With Big Impact – all of which we would be happy to help you accomplish! 1. Submit a Letter to the Editor. Feel free to use language in our version. 2. Create your own local ad or PSA! We can help! email us for step-by-step instructions on how to make your ad or PSA. 3. Sample cat adoption ad with Maine humorist Tim Sample. We can help you create your own ads for your area. 4. Sample radio public service announcement in Maine.